Feed these hungry fish and you may receive a scholarship for university. Buy armour items from this shop for your pet to defend itself in the Battle Arena. Create your own free blog on Marapets that other players can comment on. Heal your pet's health for free at the healing bubble pit to prepare for battle. Complete the Clam missions for pearls and receive a limited edition Kronk pet. Buy the cleaning products you need from this shop. Complete goals related to the Jenoa world and receive a prize at each level. Play Keno and win higher prizes depending on how many numbers you match. 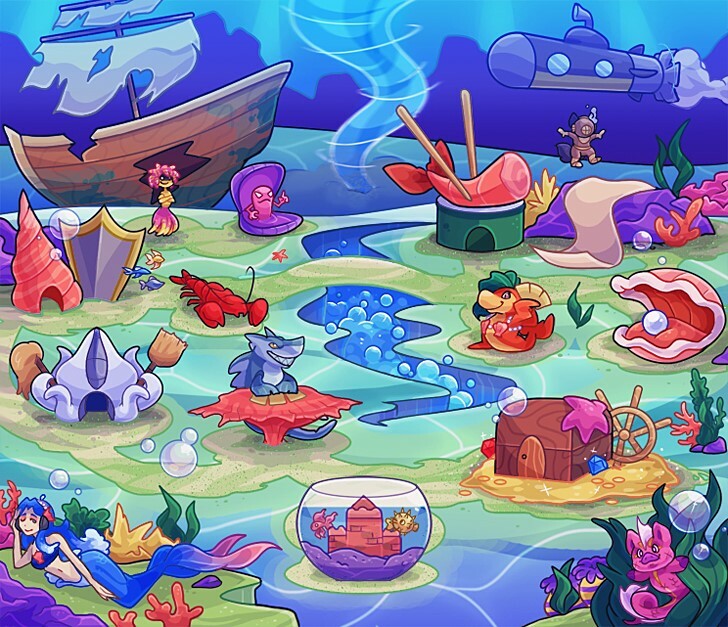 Merman rewards each of your pets for training their stamina stats. Marapets millionaires shop at this store to buy rare and amazing artifacts. Buy the pearls you need from this shop to complete the Clam mission. Buy and scratch these Jenoan Scratchcards to win amazing prizes. Buy sushi items from this shop for your pet to eat. The Water Fairy rewards each of your pets for the CDs they have listened to. Complete the Whirlpool Treasure Map and visit for life, for free.